Fort Ward’s Youth Advisory Committee members are featured in the latest edition of the Bainbridge On Campus podcast series. 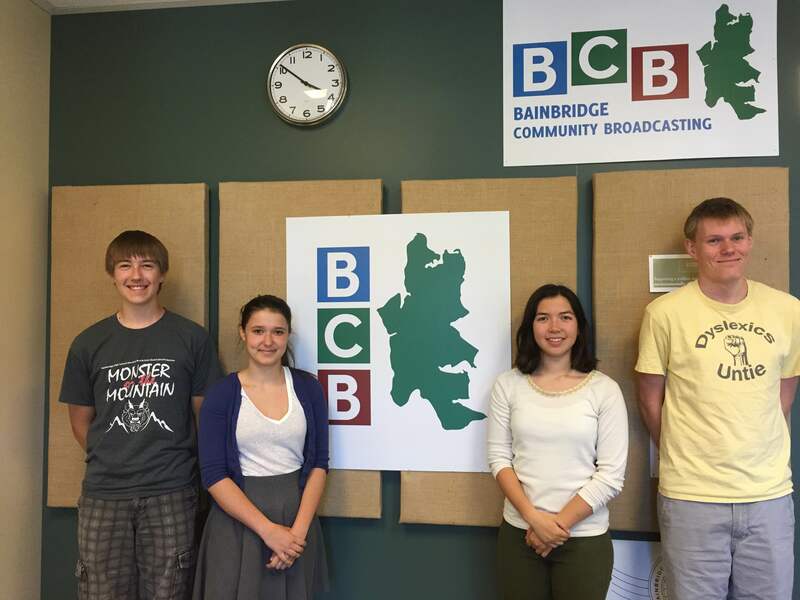 Produced by the Bainbridge High School Radio Club, the series highlights local youth issues and goings-on. Now host Finn Mander interviews Erik, Mark, Aila and Kate about their involvement in the Fort Ward Community Hall project. Hear the podcast here or click on the image below – it’s a great program! Thanks to Finn and the BHS Radio Club for bringing the community hall project to the podcast-listening world. The Fort Ward Youth Advisory Committee at the Bainbridge Community Broadcasting studios.